Catherine Traicos has quietly dropped a new collection of songs, due out on January 31. Brave The Good Dark is the first release in 2 years for the gifted singer/songwriter – and it marks a welcome return for an artist whose 5 previous releases have all been met with much critical acclaim. To celebrate the release, Catherine has announced two album launch gigs on the East Coast. First up, she’s performing a solo Sydney show on Saturday Feb 27th at The Newsagency (2 sets). Then the chanteuse will head south for another solo show on Saturday March 5th, this time at Some Velvet Morning. Special guest Marlon Winterbourne will join Catherine for the Melbourne show. And as an extra little surprise gift, the first 50 pre-sale ticket holders for the Sydney show will receive a free signed copy of Brave The Good Dark on the night. Quick Sticks. And in Melbourne, the first 20 thru the door will also receive a free signed copy of the album. Again, good people, quick sticks. 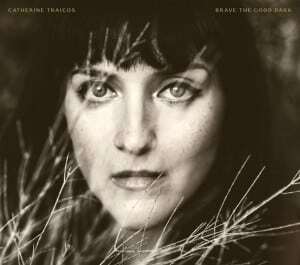 Currently Perth’s RTR FM Local Album Feature, Brave The Good Dark, showcases Catherine’s beautiful blend of alt-country, blues, rock and indie folk, delivered by one of the most distinctive voices in contemporary music. On first listen to Brave The Good Dark, it is perfectly clear that Traicos has lost none of her magic. The stories she tells are universal yet personal, her voice haunting, elegant, hypnotic and always gorgeously textured. Catherine Traicos has braved her own ‘good dark’ to produce yet another book of songs that will capture your heart. Brave The Good Dark is out January 31, available on iTunes & Bandcamp. 375 Enmore Rd, Marrickville Ph: 8095 0246 2 sets from 8pm.